We have all had that painful, gnawing pain in our stomachs, but more often than not it's a result of our fast-paced lifestyles rather than a true stomach disorder such as gastritis or an ulcer. Students stressed over their schoolwork, parents haggard over trying to meet monthly bills and senior citizens who worry about the high cost of their health care are all victims of this stomach pain. Luckily, there are natural remedies to reduce the severity and frequency of stomach problems. The causes of stomach pain vary, from not getting enough fiber in your diet, which can lead to painful constipation, to not being well-rested, stress, a diet that lacks healthy foods and too little exercise. Stomach pain accompanied by bloating, belching, flatulence and nausea can mimic a peptic ulcer. Your doctor can perform diagnostic tests to determine if this is the cause, otherwise you probably have non-ulcer stomach pain. Ways to prevent non-ulcer stomach pain are to get the proper amount of rest, exercise regularly and eat a healthy diet. Eating high-fiber foods is effective in reducing stomach pain and healthy for your colon but increase your fiber gradually to avoid discomfort. According to the Mayo Clinic, men under the age of 50 should aim for 38 grams of fiber per day, while women under 50 should strive for at least 25 grams a day. Females over 51 should consume 21 grams, and males over 51 should eat 30 grams. Consuming a small handful of nuts each day is a good way to add fiber to your diet. Other foods such as fruits, vegetables and whole grains are high in fiber. Our harried lifestyles can lead to stuffing food in our mouths while running out the door, but this results in overeating and swallowing air, especially when drinking carbonated beverages, and it creates additional stress on the gastrointestinal system. Avoid spicy and greasy foods and too much alcohol and caffeine, as they all can cause stomach pain. In addition, learn relaxation techniques and to slow down and smell the roses. Honey is effective in curing stomach pain in some people, so if you're feeling discomfort take 2 tablespoons and wash it down with water. Home-remedies-for-you.com recommends drinking chamomile or herbal mint tea to calm and soothe your stomach. Asafetida is an herbal remedy for stomach pain. Swallow 1 teaspoon of asafetida and follow with a glass of water. The pain should start to subside after a couple of minutes. 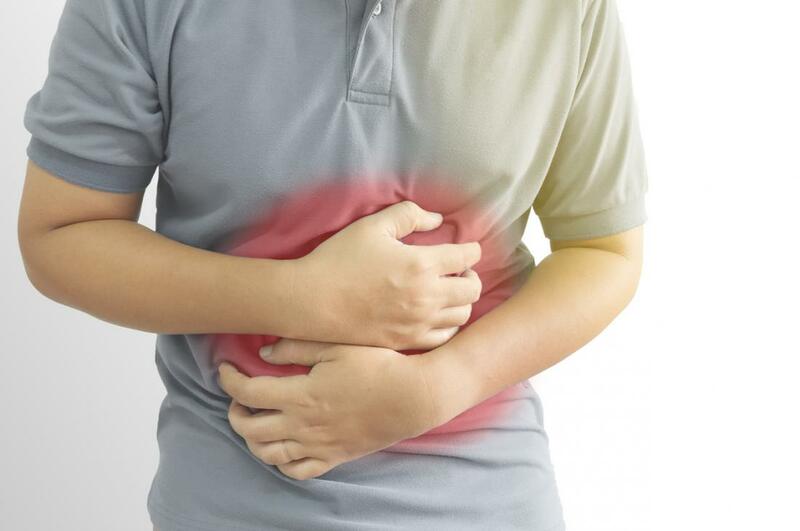 You should consult your physician regarding your stomach pain if you experience ongoing or persistent pain or an increase in frequency, vomiting, bowel movements that are bloody, unexplained loss of weight or frequent indigestion or pain radiating from the neck, chest or arm.